Dogs use their teeth all day every day. Dental chews are vital to your dog’s dental and overall health. 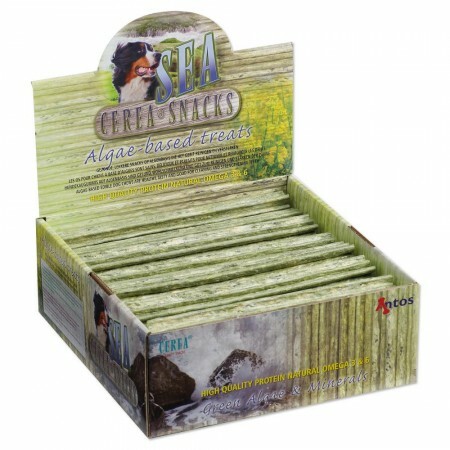 Our Cerea® Sea treats are healthy, vegetable and algae-based dog chews which have a minimal fat content. High in protein, low in fat and completely digestible. The green algae promote healthy digestion. It is important to treat your pooch to routine teeth cleanings, but dental treats can be used in between cleanings to maintain puppy and dog’s oral hygiene. The chews are made specifically for promoting strong teeth and healthy gums. Cerea® Sea Algea Toothbrushes contain a high concentration of chlorophyll, proteins, iron, Omega 3 and Omega 6 fatty acids and a rich source of vitamins. These fatty acids have a positive effect on the cardiovascular system. The antioxidants protect the body against stress and premature ageing. 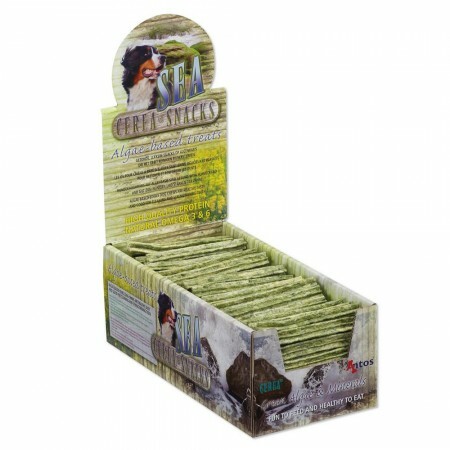 Being potato starch based, they are suitable for dogs with allergies to grains and is free from wheat. 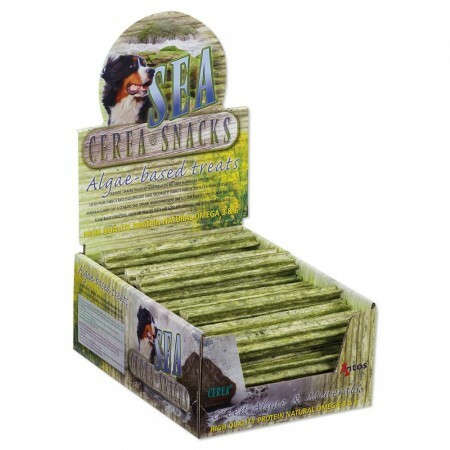 The Cerea® Sea snacks are available in a variety of sizes, which makes it perfect for small and large dog breeds.